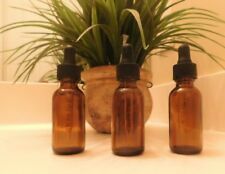 Set of 6 High Quality 1oz Glass Bottles with Droppers. We´ll be glad to provide them for you! Strong glass ensures durability. 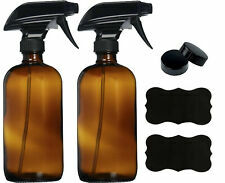 These bottles are ideal for containing almost any liquids/oils. Amber glass jars 6 pieces, 2 oz(60ml) each. Perfect for travel, and conveniently fits in your purse. High Quality Actual Dark Amber Glass - NOT painted. Every single bottle has been leak proof tested. These high quality, amber, glass, round jars are perfect for use with lotions, creams, and scrubs. Inner liners create a tight seal. Perfect for travel, and conveniently fits in your purse. These high quality, amber, glass, round jars are perfect for use with lotions, creams, and scrubs. Perfect for travel, and conveniently fits in your purse. Inner liners create a tight seal. - Local pick up is not available. 12 pack 4oz Empty Amber Glass Round Jars bottles with White Inner Liners Perfect glass jar for storing cosmetics or other homemade beauty items. Perfect jars for travel,picnic, and conveniently to take. Safe, secure and convenient packaging. Amber glass is perfect for protecting the contents of this glass jar from harmful of UV rays Perfect inner liners create a tight seal. 12 pack 4oz Empty Amber Glass Round Jars bottles with White Inner Liners and black Lids.Glass Jars Prefect for Cosmetics and Face cream Lotion. Beautiful Amber glass cosmetics jars for storing anything you need to be air tight and protected from the uv rays. Popular uses include, glass jars for cosmetics, essential oils, spices, and much more. Keep every jar in good condition. Amber glass is perfect for protecting the contents of this glass jar from harmful of UV rays. Perfect inner liners create a tight seal to prevent any leak out. Mini-sized jar.Perfect for travel,picnic, and conveniently to take. 50 ml Amber Glass Jar w/Black Lid, High End Glass Salve Cream Jars by Premium Vials (12, Amber). Comfortably holds a few grams. Amber glass is perfect for protecting the contents of this glass jar from harmful of UV rays. Perfect inner liners create a tight seal. Mini-sized jar.Perfect for travel,picnic, and conveniently to take. Trending at $18.13eBay determines this price through a machine learned model of the product's sale prices within the last 90 days. These high quality, amber, glass, round jars are perfect for use with lotions, creams, and scrubs. Our dedicated team is here for you, 24/7/365. These high quality, amber, glass, round jars are perfect for use with lotions, creams, and scrubs. Inner liners create a tight seal. Perfect for travel, and conveniently fits in your purse. - Local pick up is not available.